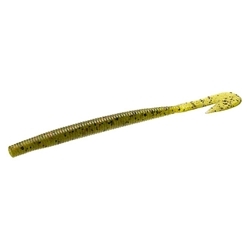 Zoom's Ultravibe Speed Worm will trigger the predatory instinct with its realistic look and action of a worm. These worms can be used to swim or on a Carolina Rig with great action from the tail. Each worm is salt-impregnated for extra bite-holding power.